Preventing risks of severe damage from climate change not only requires deep cuts in developed country greenhouse gas emissions, but enormous amounts of public and private investment to limit emissions while promoting green growth in developing countries. 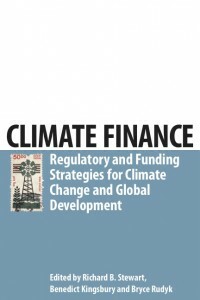 While attention has focused on emissions limitations commitments and architectures, the crucial issue of what must be done to mobilize and govern the necessary financial resources has received too little consideration. 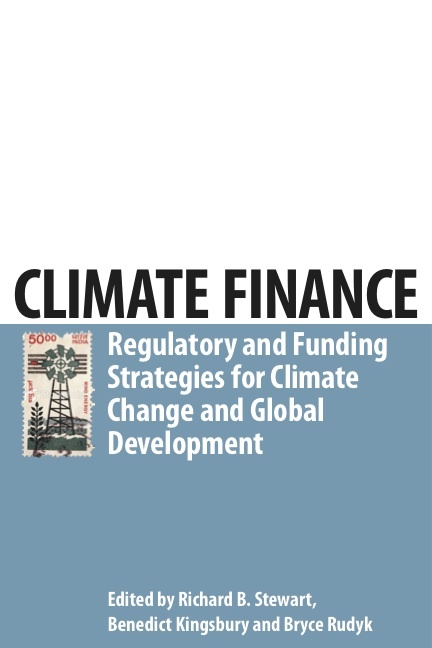 In Climate Finance, a leading group of policy experts and scholars show how effective mitigation of climate change will depend on a complex mix of public funds, private investment though carbon markets, and structured incentives that leave room for developing country innovations. This requires sophisticated national and global regulation of cap-and-trade and offset markets, forest and energy policy, international development funding, international trade law, and coordinated tax policy.